Last week I had the opportunity to welcome almost 300 crime story and mystery writers to our facilities for their national conference being held here in Appleton—the Writers’ Police Academy. 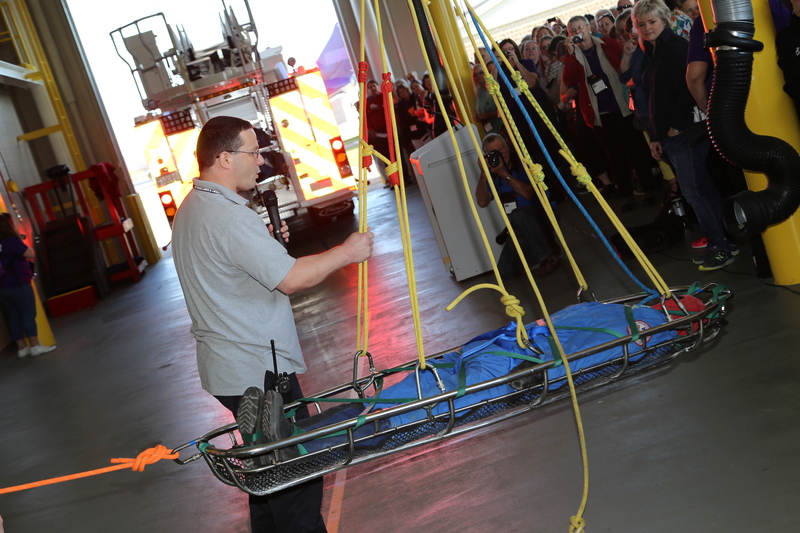 I welcomed our guests as they arrived at our Public Safety Training Center for their two day-long and firsthand experiences with law enforcement, fire protection, forensic science, and EMS disciplines. By the way, this event is a great example of economic development in this region—a Fox Cities asset that becomes a draw for bringing people, business, and commerce into our community. Three hundred people from all across the country were here for 3 days staying in local hotels, eating in local restaurants, flying in and out of our local airport, etc. And this is just one conference, one group, and one that will likely return in the future. If you have seen this facility, I think you can quickly imagine how impressed our visitors were with the realistic, hands-on learning opportunities that it offered. I’ve included several photos here to give you a glimpse at some of their experiences. When these writers arrived on Friday morning they were impressed with the facilities. But when they left on Sunday, they were clearly impressed by the instructors, their knowledge, expertise, and experience, as well as their incredible level of professionalism. One of our faculty members, Dr. Joe LeFevre, made this all happen, and many of his colleagues as well as our community law enforcement partners were right by his side in very successfully executing this major undertaking. Kudos to everyone involved in making the writers’ Fox Cities experience an outstanding one, and I’m sure very, very memorable! 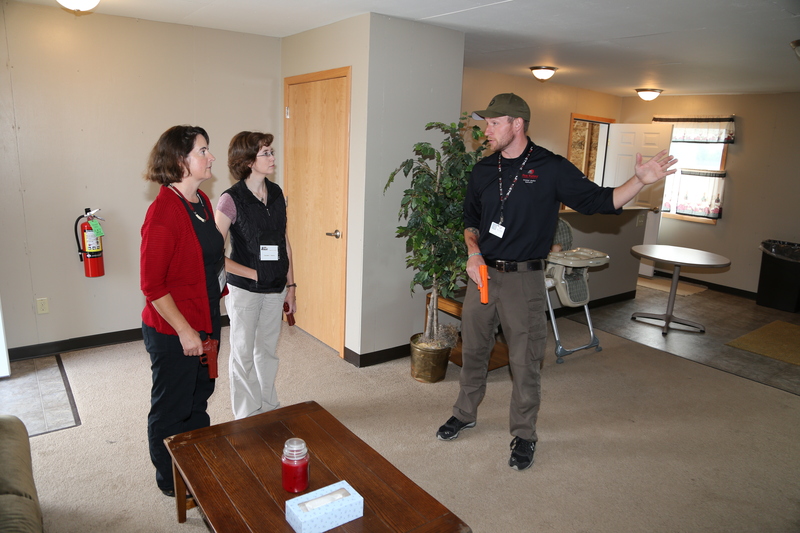 Fire Protection Instructor Chris Fischer presented an emergency response scenario. 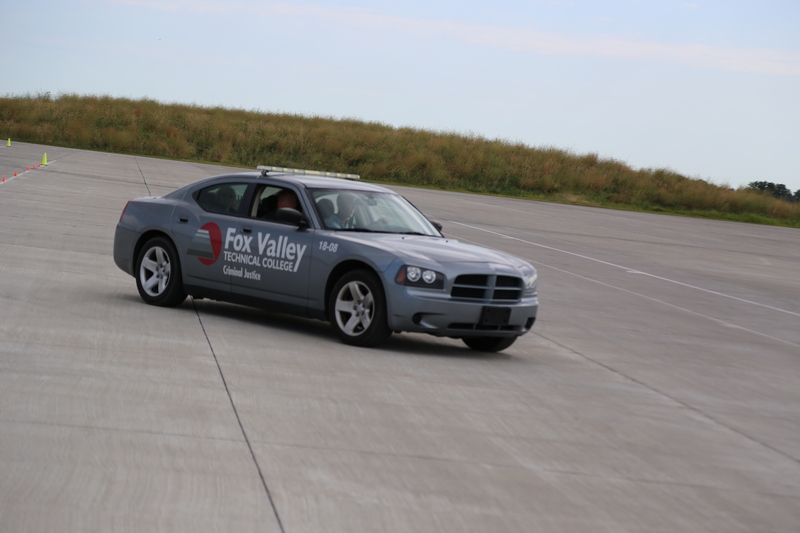 Renowned author Karin Slaughter was in this vehicle during a high-speed ride on our skid pad. 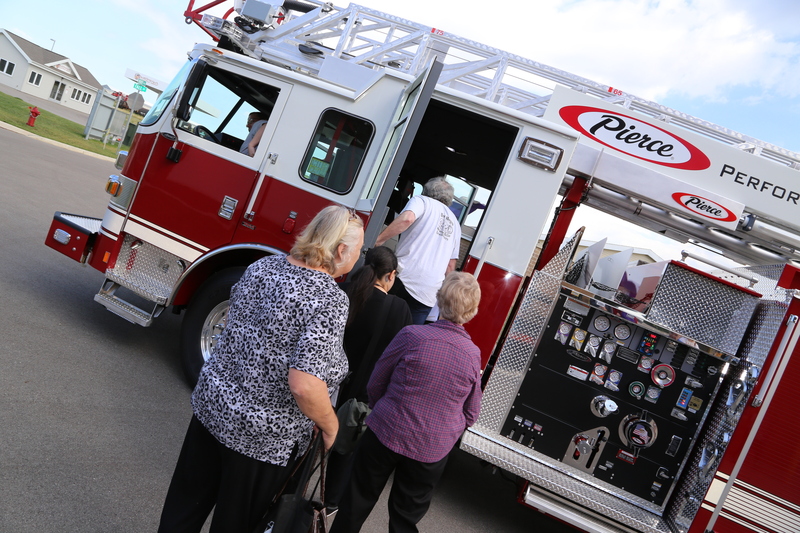 Crime writers boarded one of our state-of-the-art Pierce fire trucks for an experiential ride. Robert Zill, adjunct instructor and law enforcement/K-9 officer, describes a crime scenario in River City. If I were a gambling person in the world of graduate outcomes, I know where I would be placing my bets. It would be on the employment results of FVTC’s graduates. The odds are pretty good. In fact, the odds are that 9 out of every 10 of our graduates (students who successfully complete one of our degree or diploma programs) will be employed within 6 months of graduation. And, most will be employed in a position related to their field of study. We know what these odds represent because every year the College does exhaustive follow-up with our graduates not only 6 months after graduation, but also 5 years after graduation to get a good understanding of their employment and professional growth. The latest report focused on our 2014 graduates, and of that group, 92% were employed 6 months after completing their credential. 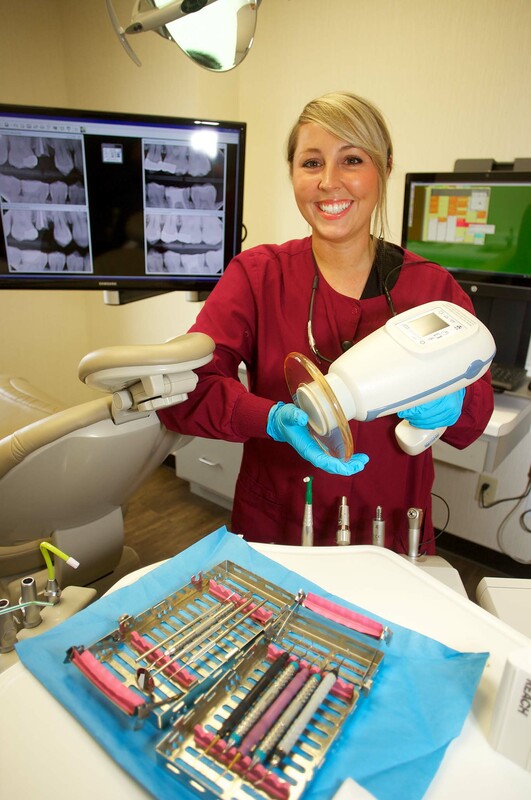 In looking at just a few of our programs, an average annual starting salary of $53,000 for our dental hygiene graduates right out of the gate, or $43,700 for our automated manufacturing and electromechanical graduates, or $51,000 on average for mechanical design graduates 5 years after graduation, represents a very solid return on tuition and time investment. Several of our programs, like Agribusiness/Science Technology for instance, have experienced 100% job placement year in and year out for a number of years now. Should you be thinking that there are very few jobs or opportunities available in the fields that FVTC prepares students for or at these salary levels, let me dispel that myth. In fact, as only a few examples, last year in the FVTC District alone, there were more than 46 full-time job postings for every 2-year marketing graduate, 14 positions for every machine tool graduate, 30 for every administrative assistant graduate, and 16 job postings for every electromechanical graduate. Great opportunities are everywhere for our graduates! I’d put my money on them every time.